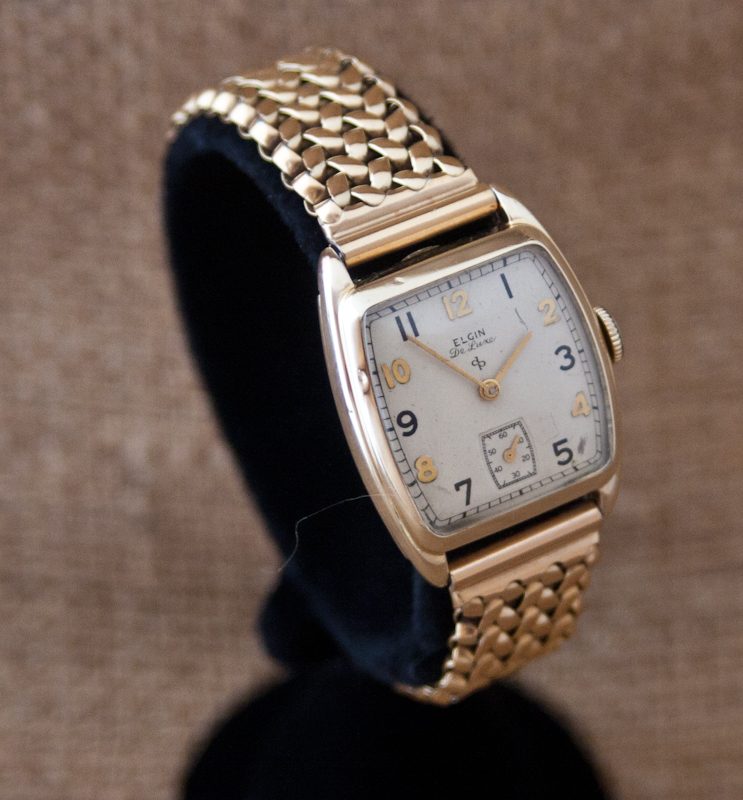 This Elgin DeLuxe dates to the end of the Second World War and shows classic, simple style. 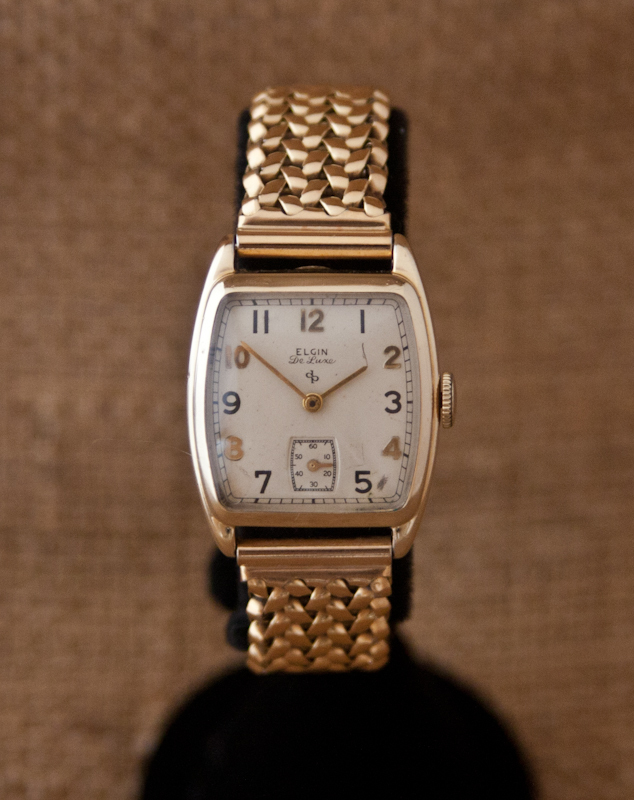 It’s powered by Elgin’s reliable 555 movement and comes with a beautiful period Kreisler band. The case is in Very Good shape, there’s no brassing or wear through, though there is a small ding on the bezel near the 11 0’clock marker (seen in the 1st and 3rd photos – note there is no spotting near the 10 0’clock, despite what the third photo shows!) and another small ding to the case back (seen in the 4th photo). The bezel and case back are 10K gold filled. The dial is white with painted numbers, alternating in gold and black. It is in Very Good condition, though with a few small marks near the 1, the 5 and the 8 (can be seen in the photos). The hands are gold colored sticks and are free of rust. The plastic crystal is unscratched. 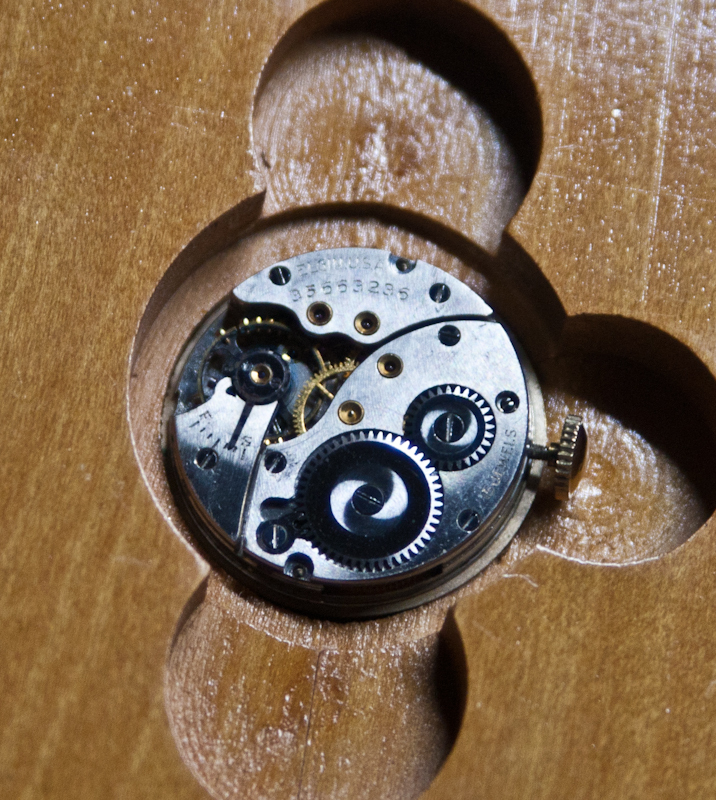 This watch is powered by Elgin’s 555 movement. The movement has 17 jewels and supports 4 adjustments. The watch runs well and keeps good time. 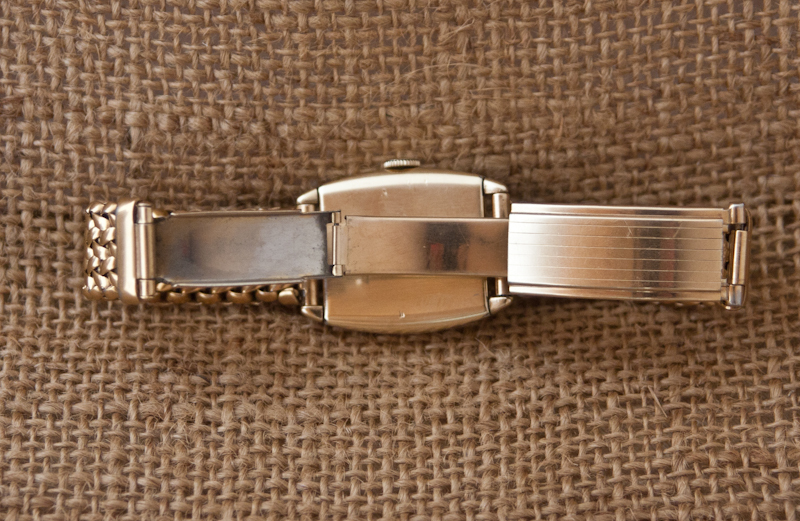 The band is a beautiful, period-appropriate Kreisler metal band with a working clasp. This is a vintage band and has been worn before, but shows no significant signs of wear. These bands are highly desirable and hard to find in pristine condition. Note that this is a medium-sized strap and we’re not sure whether it can be re-sized (though a jeweler could advise on this). The watch is ready to wear. 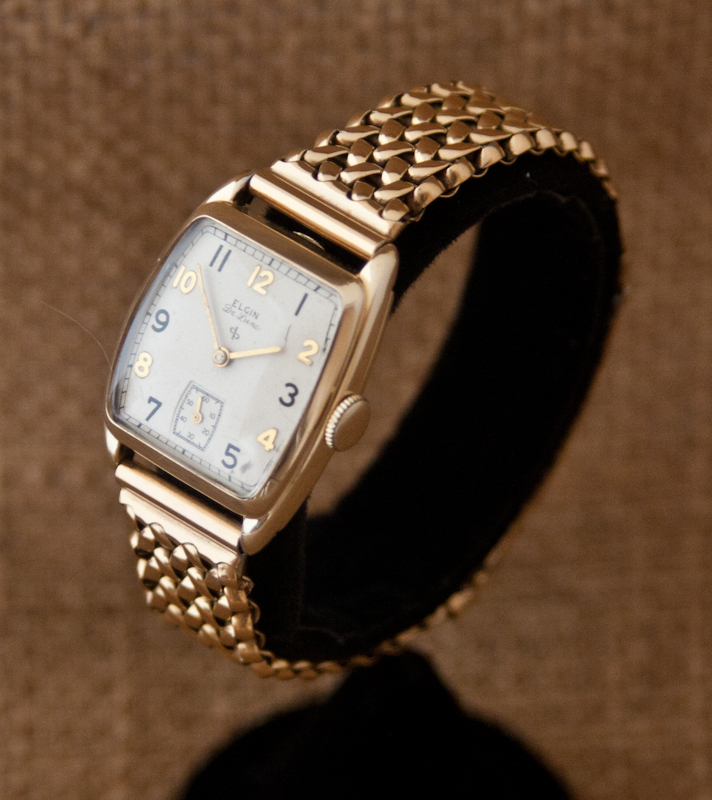 Note that this is a small watch by today’s standards and can easily be worn by a man or a woman.